Our care staff are trained and experienced in helping adults facing the challenges of ageing and memory loss. We always get to know our residents, taking the time to find out about their lives and what makes them happy so we can tailor our care to each individual. We value the opinions of our residents, next of kin, professionals, staff and other visitors to the home. 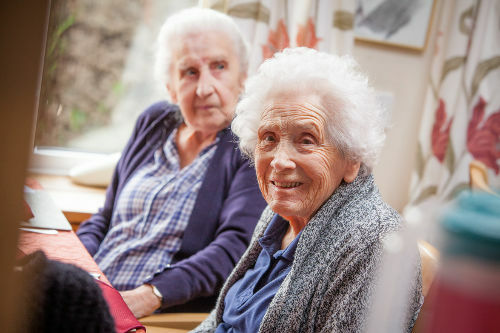 Our philosophy of care is to provide the very best residential care for our residents and their family members, by having the individual at the very heart of everything we do. Whitehaven Rest Home provides quality residential care for the elderly and dementia care, with care staff trained and experienced in helping adults facing the challenges of ageing and memory loss. The quality of the individual, person-centered care that our highly trained staff provide for our residents is evidenced by the high regard we are shown by local healthcare professionals. We’re all aware of the importance of keeping our personal date safe & secure. At whtehaven, we appreciate that if and when you share data with us, you are trusting us to look after the information securely. By meeting our residents and staff you can find out much more about us and get a real feel for the home, the residents and the team who make it such a special place to be. Moving into residential care is a big step. Whatever the circumstances, it represents a major life change, not only for the person concerned, but also for family and friends. We aim for excellence in all aspects of the home whilst being proactive towards changes in residential care. We believe that the best advertisement for Whitehaven is our happy, contented and well-motivated residents.